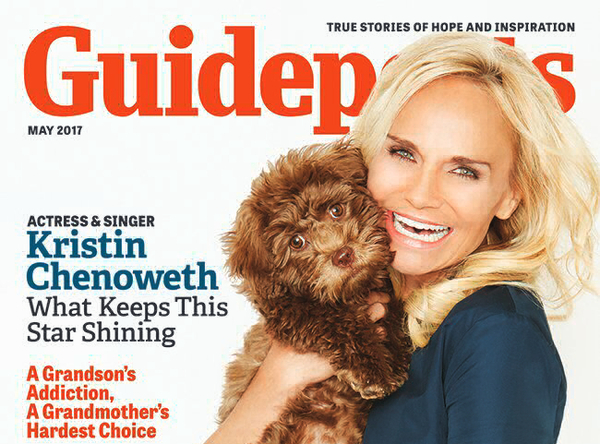 Kristin Chenoweth makes a leap of faith in adopting a rescue dog. With a solid foundation of faith and family, actress-singer Kristin Chenoweth lives by a motto she learned from her mother: "You never know, honey." Kristin speaks to Guideposts about adopting her rescue dog, Thunder, after the death of her Maltese, Maddie, her struggle with Ménière’s disease, and going home to Oklahoma to help take care of her mother after she was diagnosed with breast cancer for the second time. Read the full article here.